MeadEaglePhotos currently offers 7 themed exhibits, and we are always interested in developing new shows according to a curator's objectives. We are also available for slideshow presentations, speaking engagements and artist-in-residence programs. We have a wide selection of presentations already created, but we are also willing to develop new slideshows that reflect the interests of any potential audience. With a store of anecdotal tales to accompany our work, we are able to provide an intimate perspective for those curious about the world around us. Contact us for more information on gallery shows, slideshows or to purchase any images. Over 75 large format (20” x 30” prints) to choose from, with images from all seven continents depicting culture, landscapes and wildlife. This extensive assortment of images can accommodate large gallery spaces. This exhibit has 29 images (14” x 22”), and offers an excellent cultural tour of this colorful country. This show includes 18 large format prints (20” x 30”) and 4 smaller images (12” x 18”), representing images taken exclusively in this Himalayan country. This exhibit has over 30 images of varying sizes (20” x 30”, 12” x 18”), and addresses issues of sustainability on many levels: environmental, cultural and pertaining to wildlife. This show can be curated according to the interests of the organizer. This large format exhibit has 24 framed prints (20” x 30”) taken in the Falklands, South Georgia and the Antarctic Peninsula. It depicts the extensive biodiversity, as well as the impact of climate change and human activity in the area. Over 35 prints (12” x 18”) to choose from, depicting culture, wildlife and landscapes from around the world. This exhibit works well in smaller spaces. This show offers over 25 landscape images from around the world, in large format (20” x 30” prints), and can be modified according to interests and/or space limitations. MeadEaglePhotos currently has 9 slideshow presentations available. We also enjoy the opportunity of creating new slideshows with any of our other images according to the objectives of the presenter. For more information email MeadEaglePhotos. A journey to several continents exploring both the threats to existing species as well as unique conservation efforts which have proven highly successful. 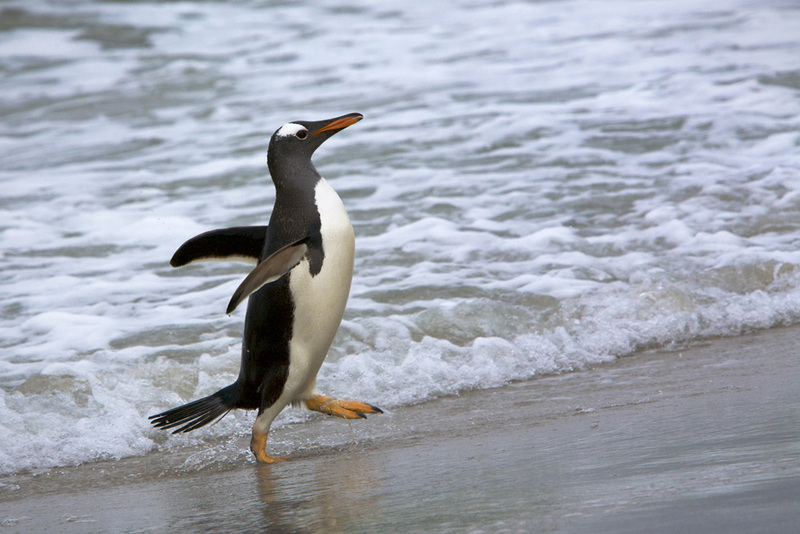 A journey to the Southern Ocean in all of its natural splendor, highlighting endemic species, issues of global warming and its implications, and spectacular landscape images rarely seen. A journey to the Asian subcontinent and the Himalaya highlighting the geographical, political, and religious distinctions among these colorful and unique cultures. A journey to the African countries of Rwanda and Kenya with an intimate look at our “cousins,” the mountain gorillas, as well as the lions, cheetahs, and leopards of the Maasai Mara in Kenya. A journey to the Pantanal of Brazil, the largest wetland in the world, where conservation efforts to protect the jaguar have made significant strides in the face of habitat destruction and human encroachment. A journey to the most unique ecology on the planet, the Galapagos, where Darwin gathered his data for the Evolution of Species, highlighting the various endemic species of these volcanic islands. A journey to every continent where landscapes reveal their unique geographic and geologic features. A journey across Cuba capturing everyday lives of Cubans in cities like Santiago de Cuba and Havana and in smaller villages like Baracoa and Remedios. This is a visual account of the evolution of politics, architecture, culture and society in a fascinating country that is going through yet another historic transition. A journey to several sites on the Katmai Peninsula of Alaska where the grizzlies are feasting on sockeye salmon in preparation for winter.